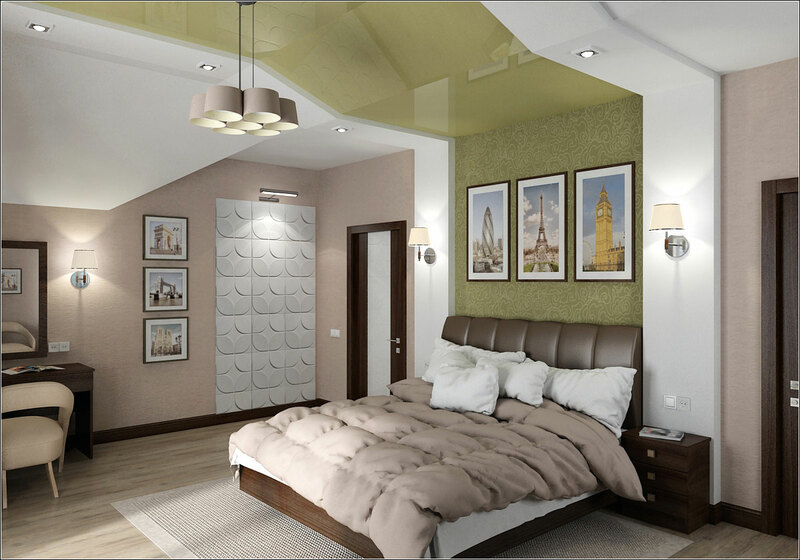 Interior design of a bedroom in a private house on the attic floor in Chernigov. The main task was to solve a high ceiling, formed by two slopes of the tent roof of the house. Of the many options, the customer chose this one. 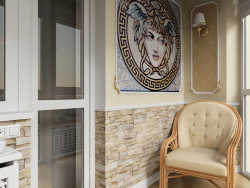 Authors design of the project - architects Oleg and Tatyana Pavlenko, 3D visualization - Oleg Pavlenko.